What’s a Headless Horseman without his horse? 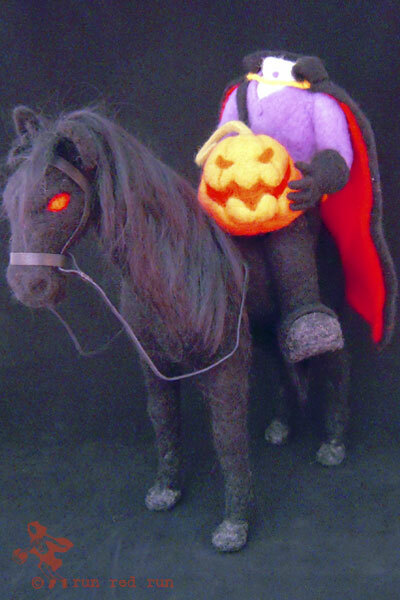 When I was felting the spooky Hessian I planned to make him a trusty steed to ride, but wasn’t sure if I could actually do it. 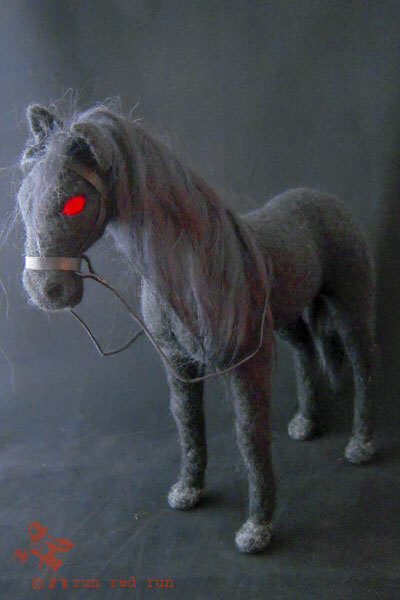 The friend who designed the horseman for me decided I should handle designing the horse on my own. I was a bit nervous at first, but I was determined (and encouraged) to do it. 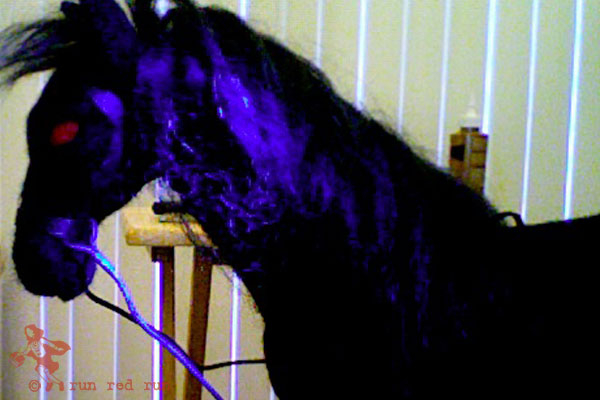 So, here’s a shot of the finished horse (better photos in my next post) and below are some of the work in progress pictures. 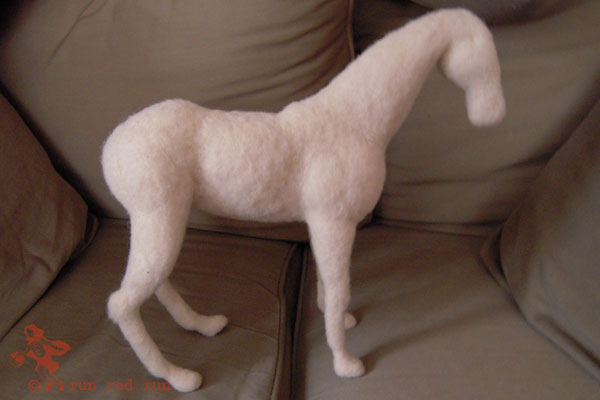 Not too bad for my first horse. 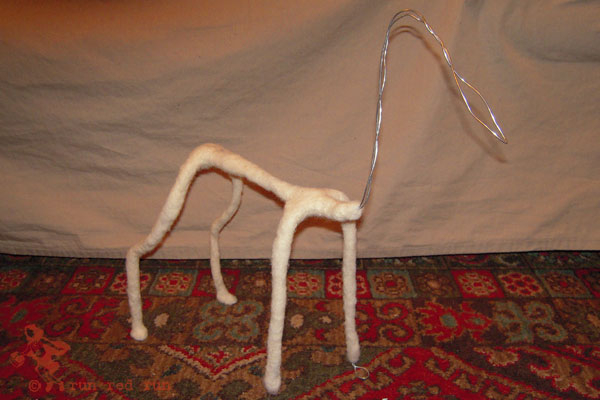 Since the horse was going to have a rider, I needed to make an armature for support. 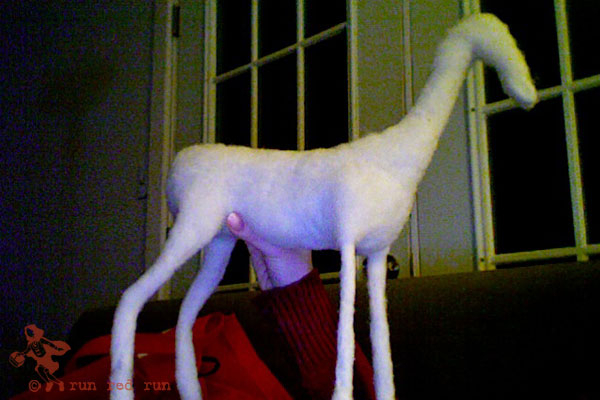 This is the first time I ever worked with an armature. Working with the needles around the wire proved challenging. But the hard work paid off! I used dozens of horse photos for reference to get the musculature right.